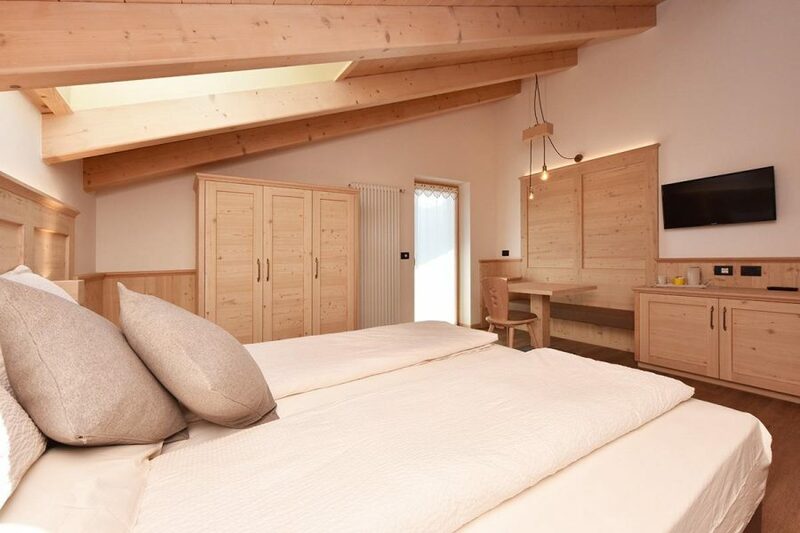 The four rooms at the B&B Le Fontanelle in Carano hosts 2 to 4 people. 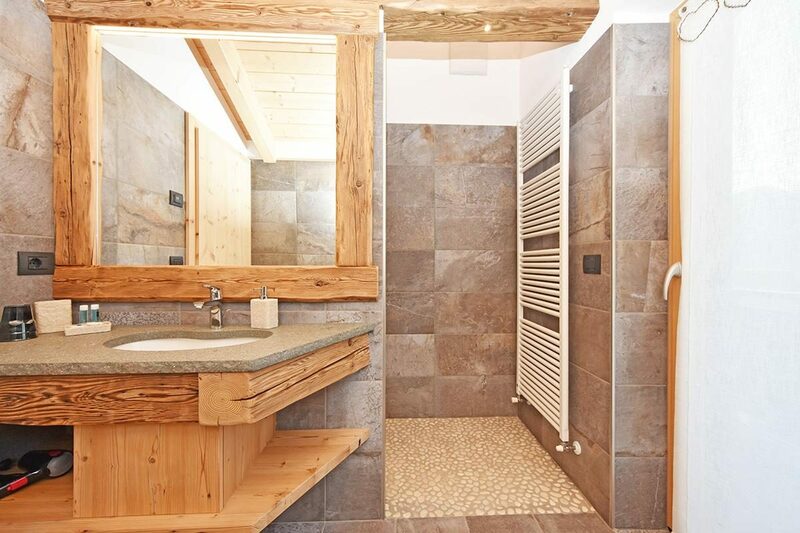 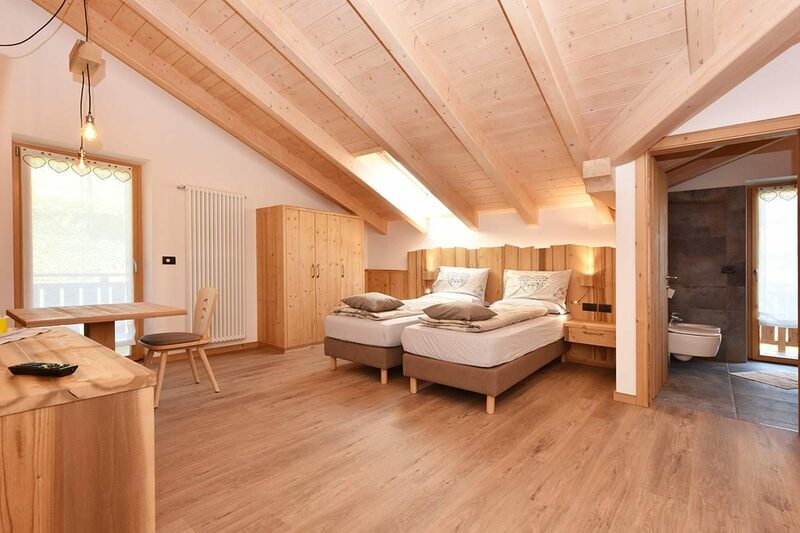 Customised with the wood of the Val di Fiemme, they will welcome you with their warmth and offer you refreshing dreams after a busy and active day. 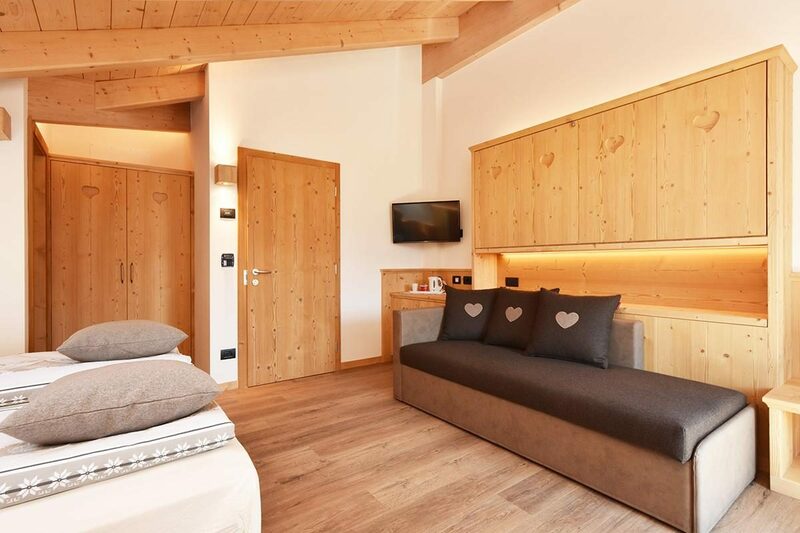 Between 28m2 and 33m2, our rooms offer spectacular views of the Dolomites. 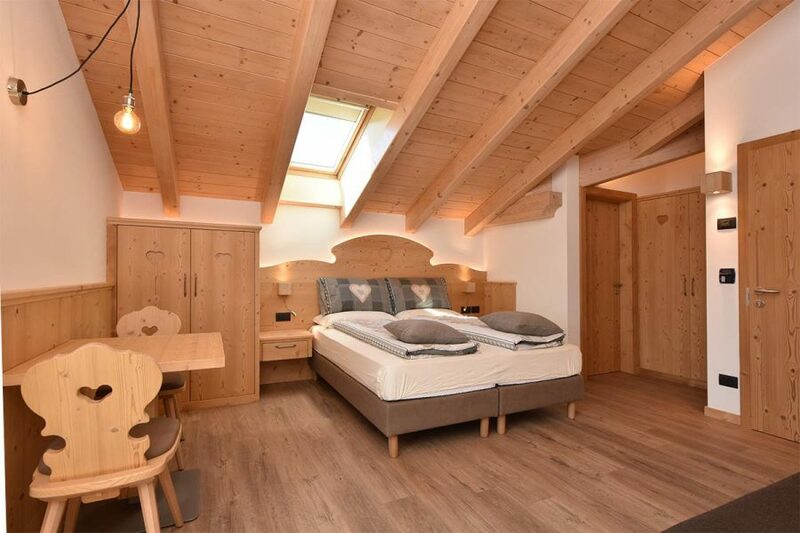 Finely furnished, they are unique pieces thanks to the woods that cover them. 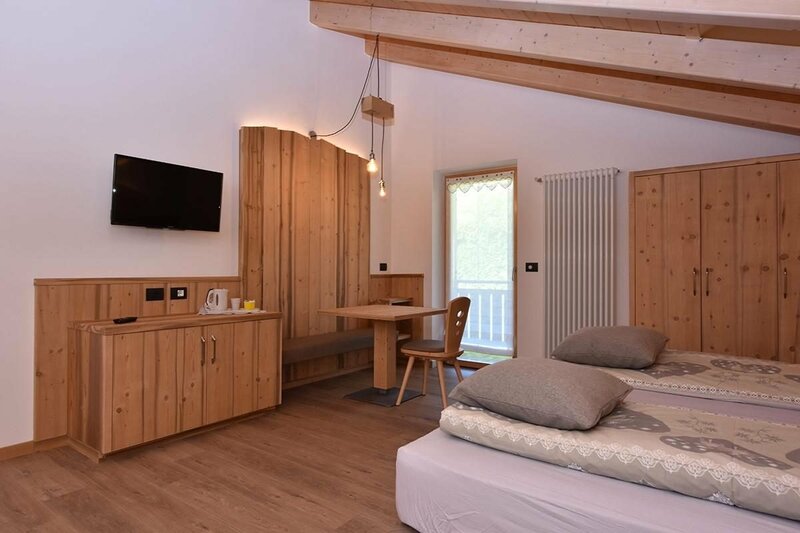 In every room you can find a double bed and bunk bed or sofa bed to accommodate the whole family, LCD TV, mini bar and kettle, private services and hairdryer. 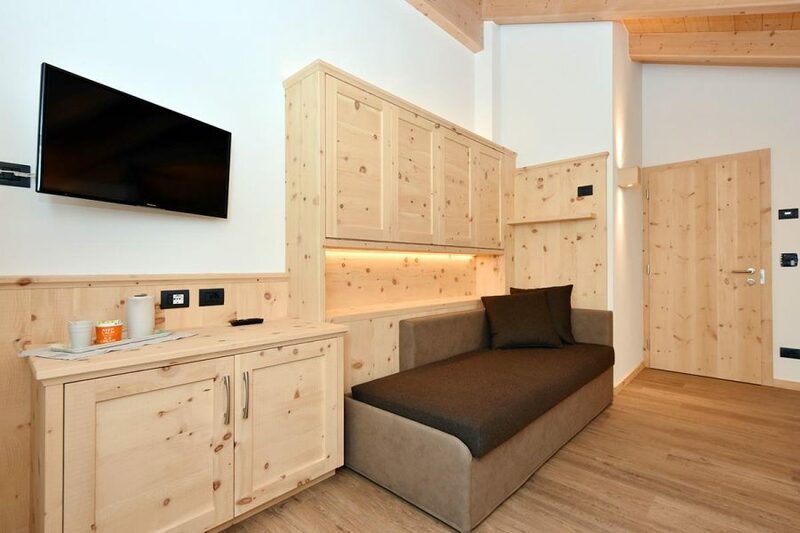 Check out our rooms and contact us for more information and to receive a personalised quote for your stay in Val di Fiemme. 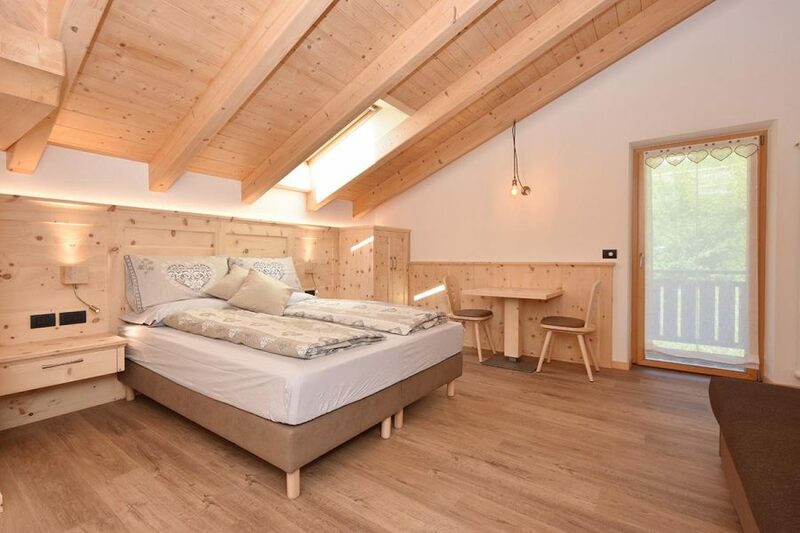 Our Lagorai room will welcome you to offer you restorative dreams with a unique view over the Val di Fiemme and the surrounding Dolomites. 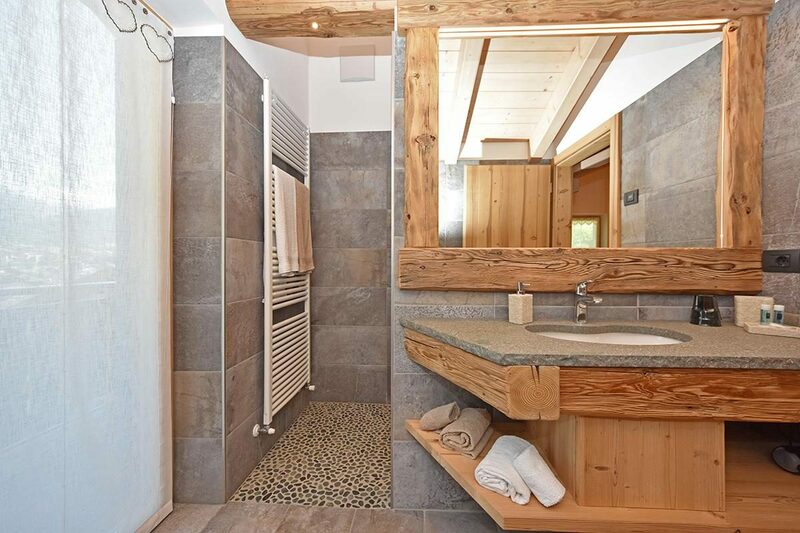 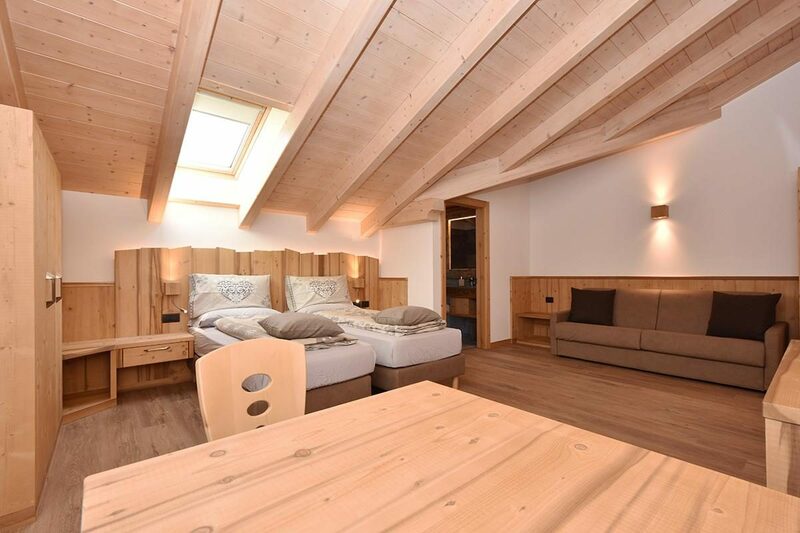 Made completely of larch wood, it can accommodate a family or a group of friends from 2 to 4 people, with a double bed and a sofa bed. 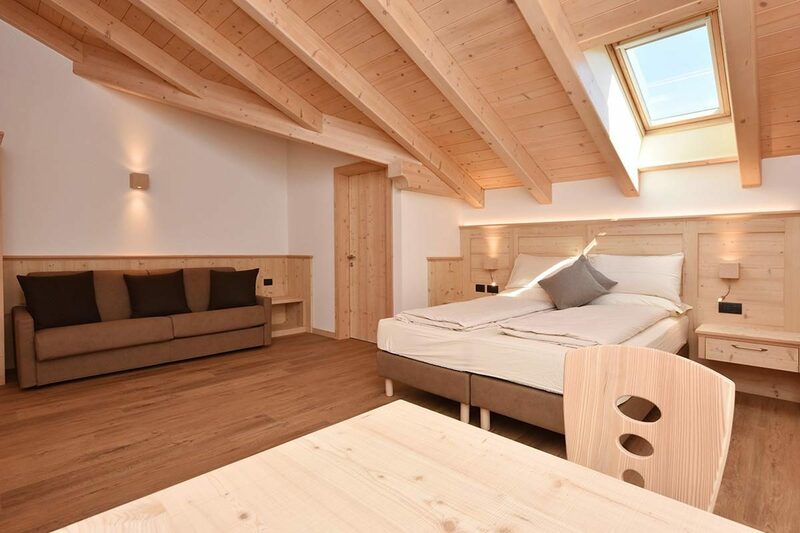 In this room you’ll also find LCD TV, mini-bar and kettle. 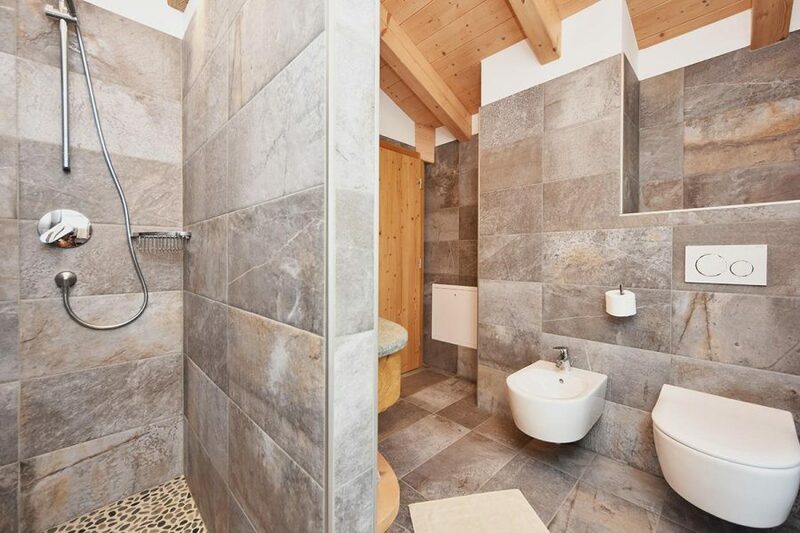 Complete with balcony and private bathroom with hairdryer. 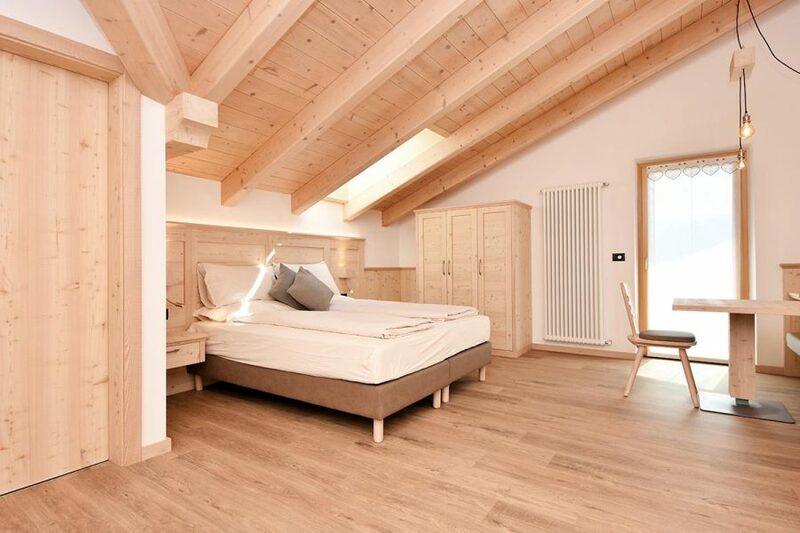 Furnished in Swiss pine wood, in our Val Moena room you can enjoy the beneficial properties of this wood. 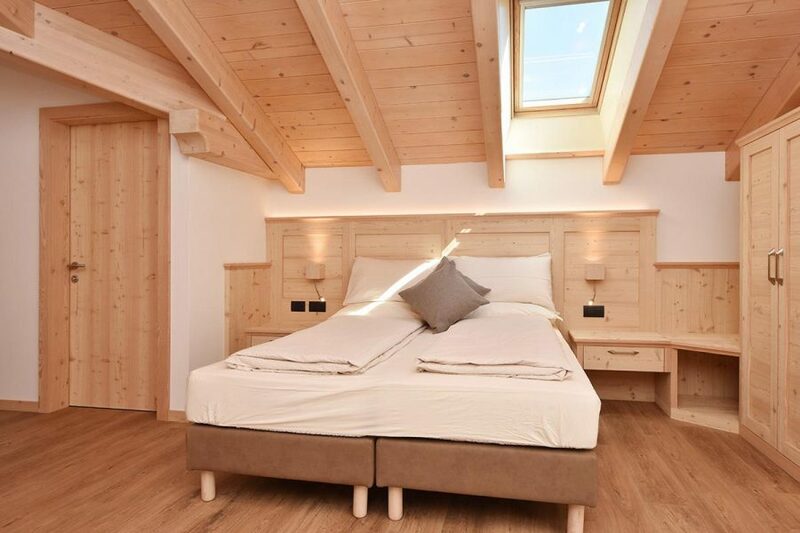 Among the most important, it helps give a regular sleep and a lower heart rate that will allow you to relax. It can accommodate 2 to 4 people, with a double bed and a foldaway bunk bed. 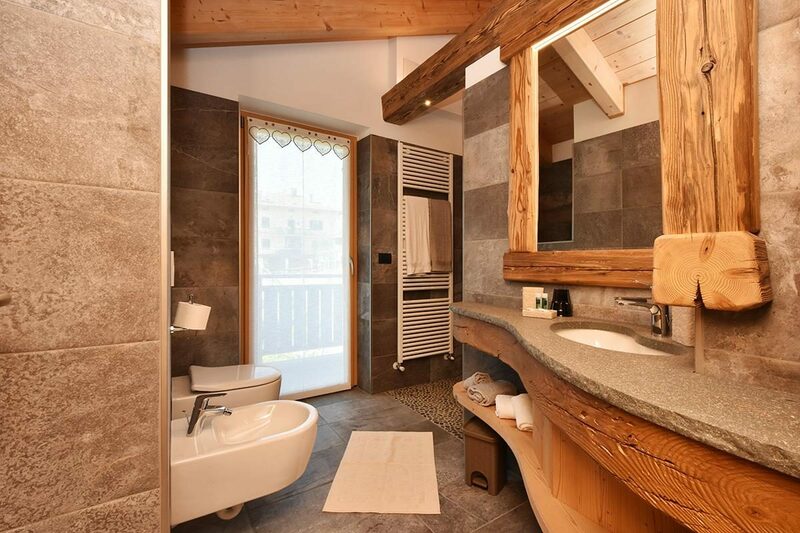 Complete with LCD-TV, mini-bar and kettle. 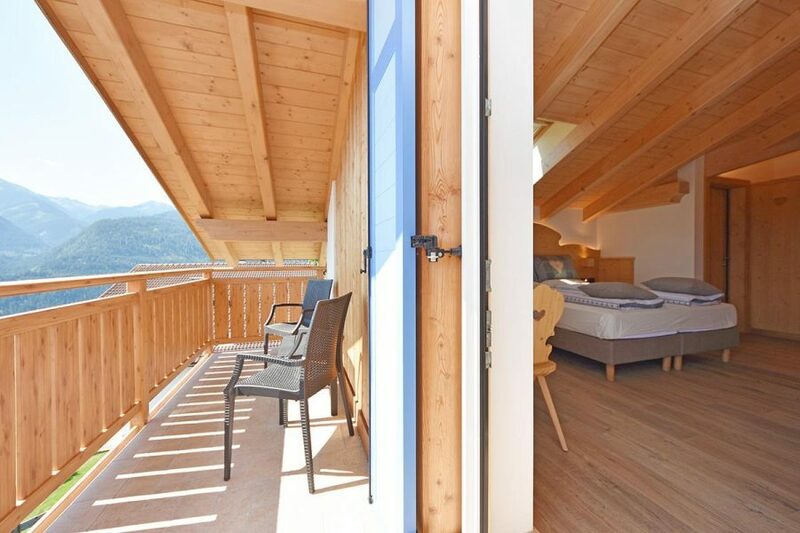 The room also features a balcony where you can admire the surrounding landscapes and a private bathroom with hairdryer. 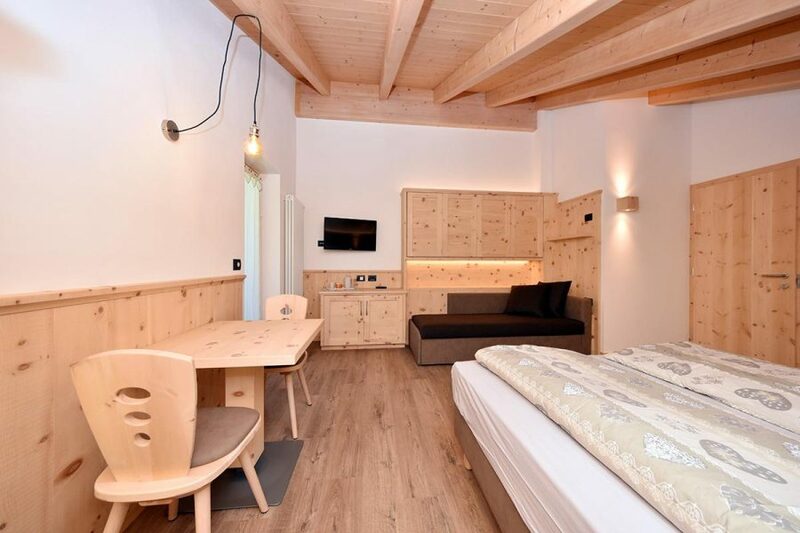 Furnished in fir wood, La Rocca room is ideal for families or groups of friends. 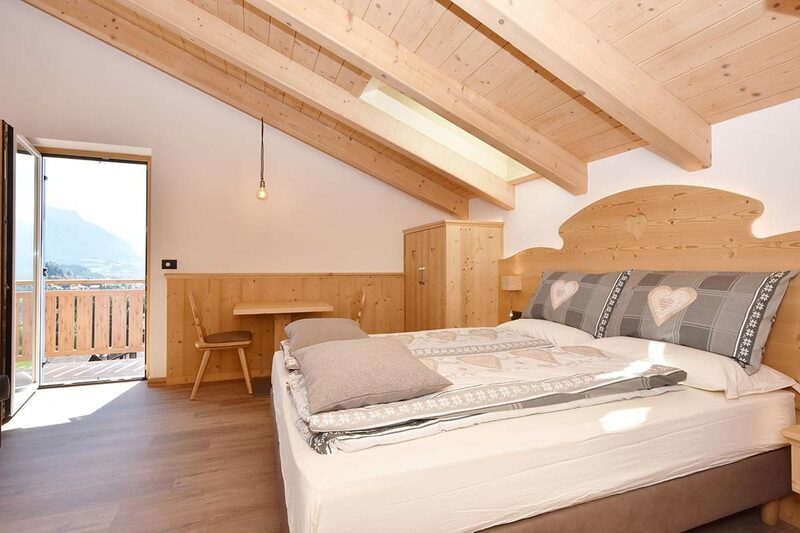 It can accommodate 2 to 4 people, with a double bed and a sofa bed. 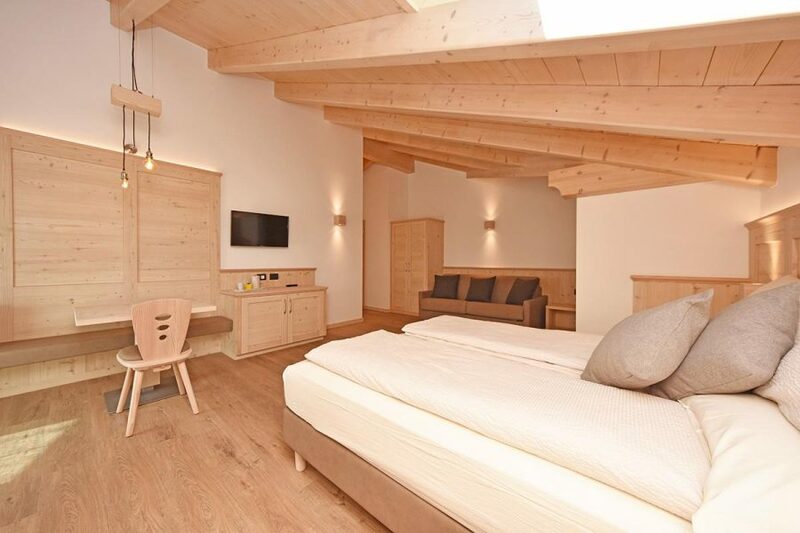 In the room you’ll also find an LCD-TV, minibar and a kettle. 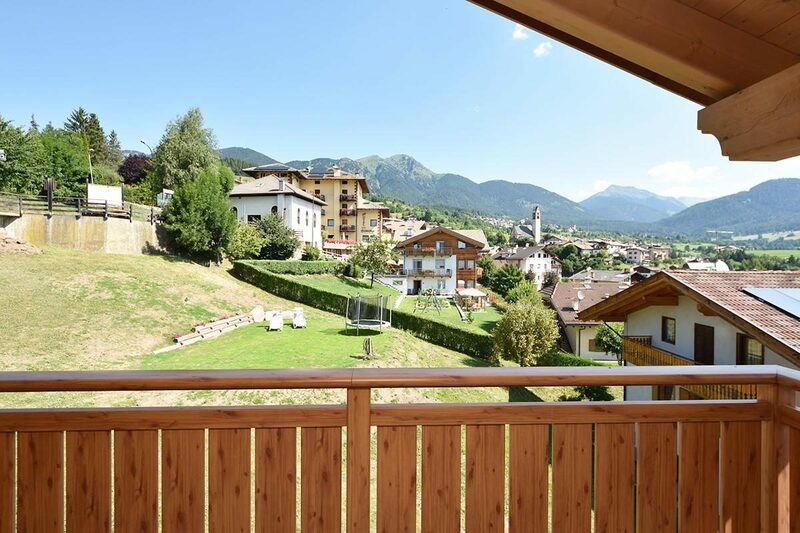 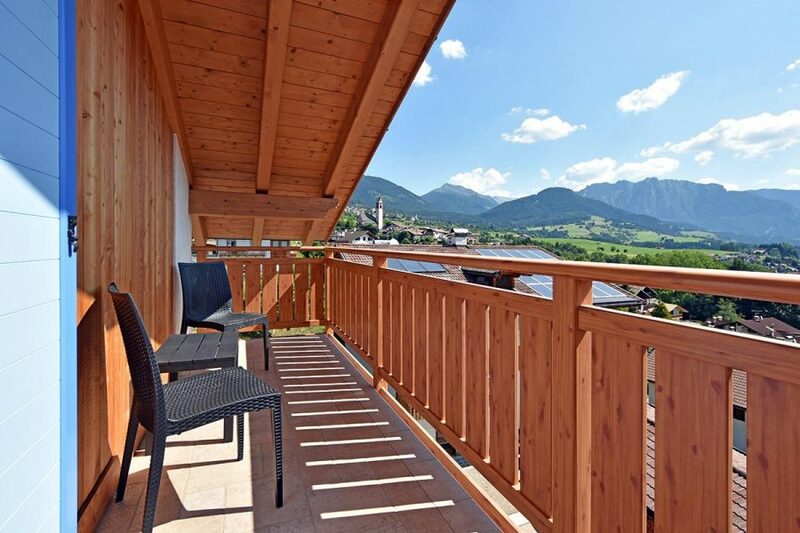 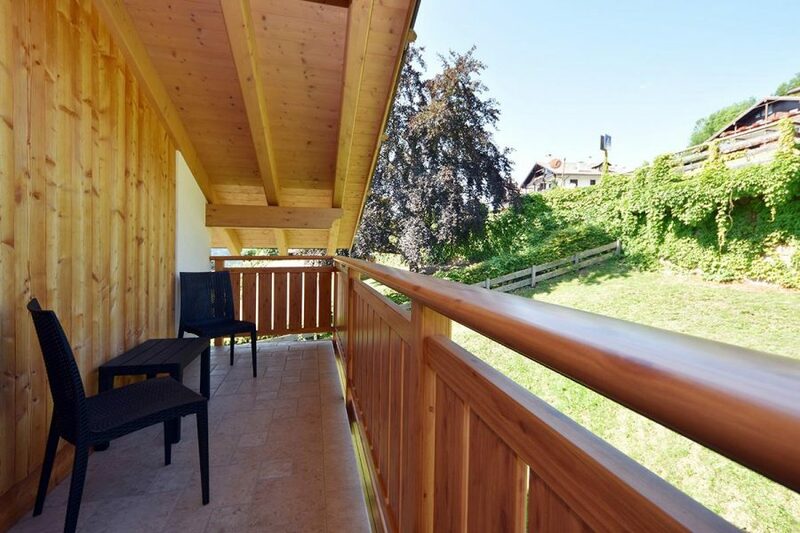 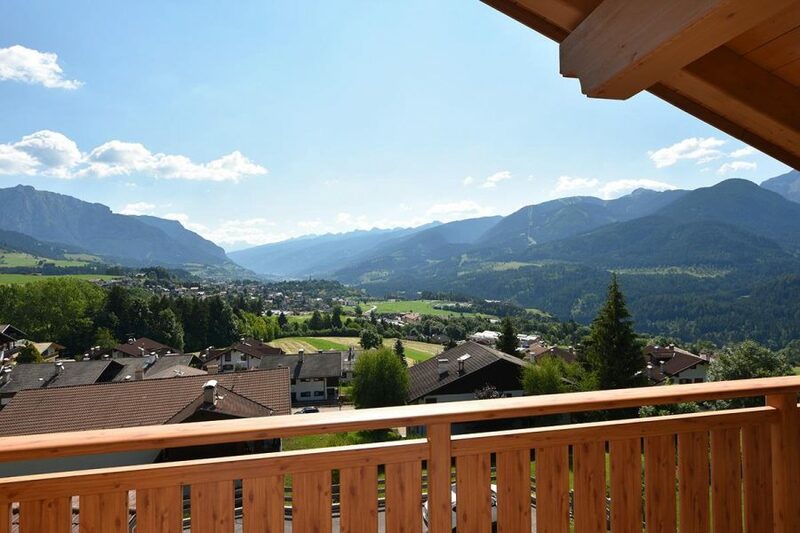 From the balcony you can admire the Dolomites that surround you. 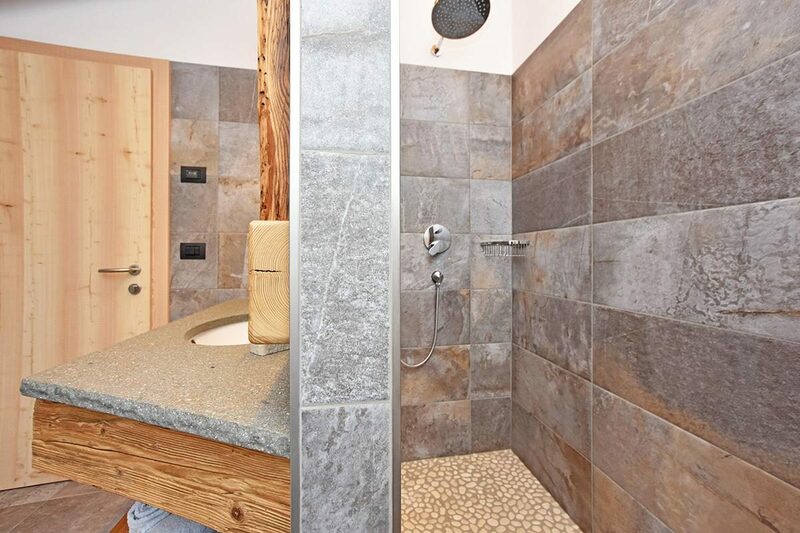 With private bathroom and hairdryer. 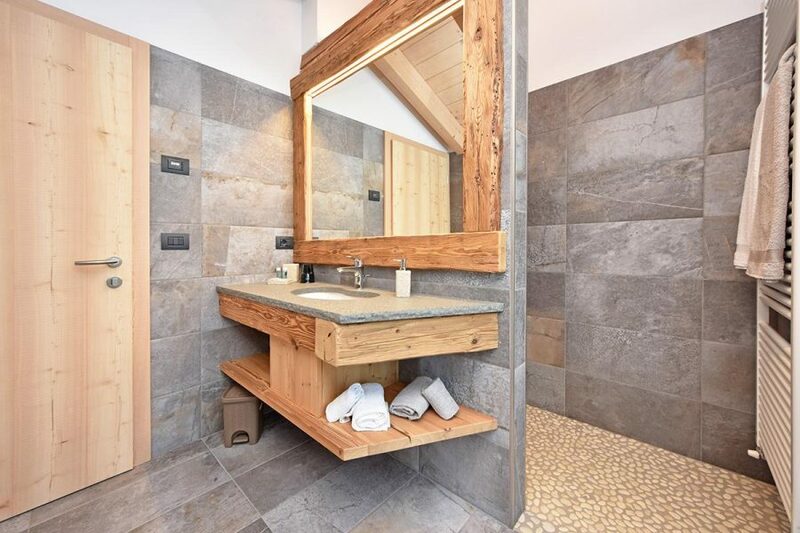 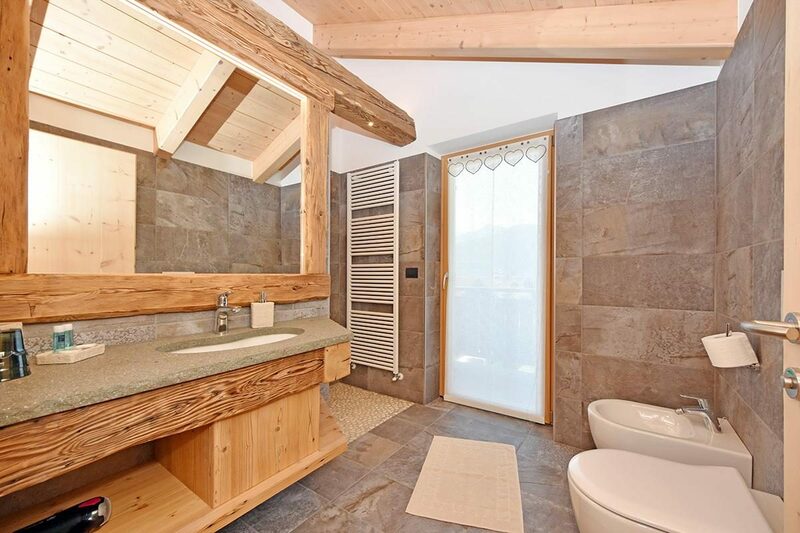 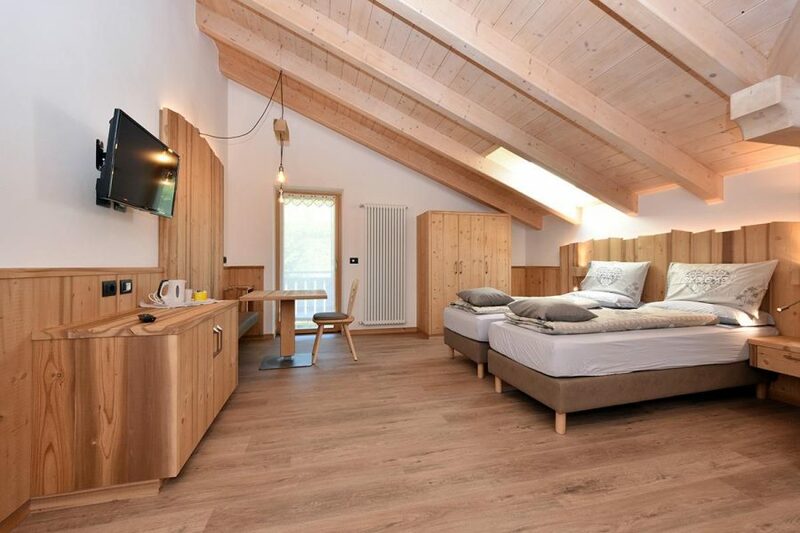 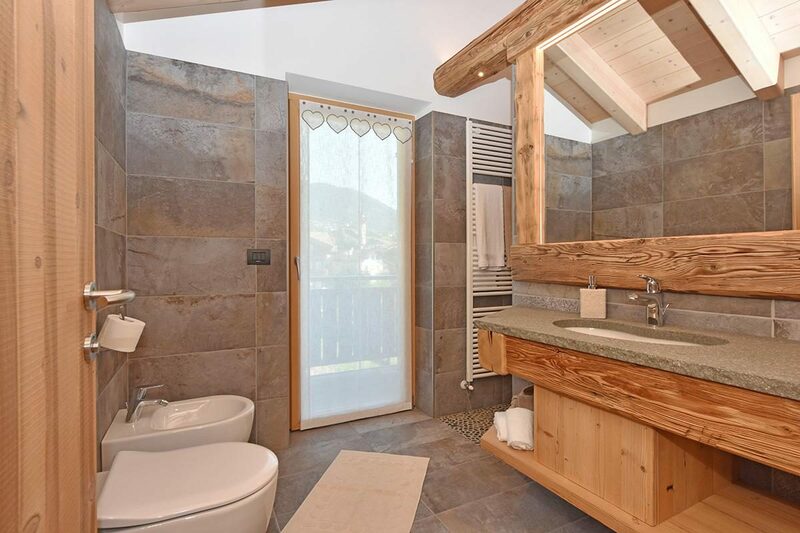 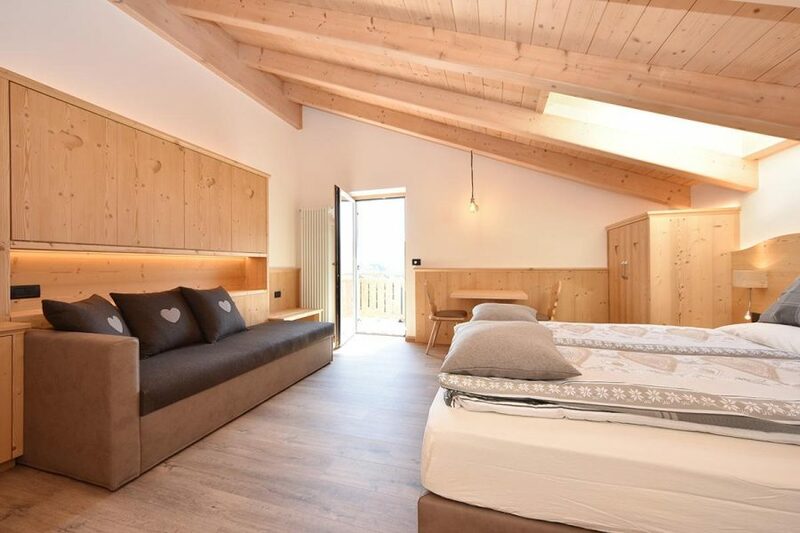 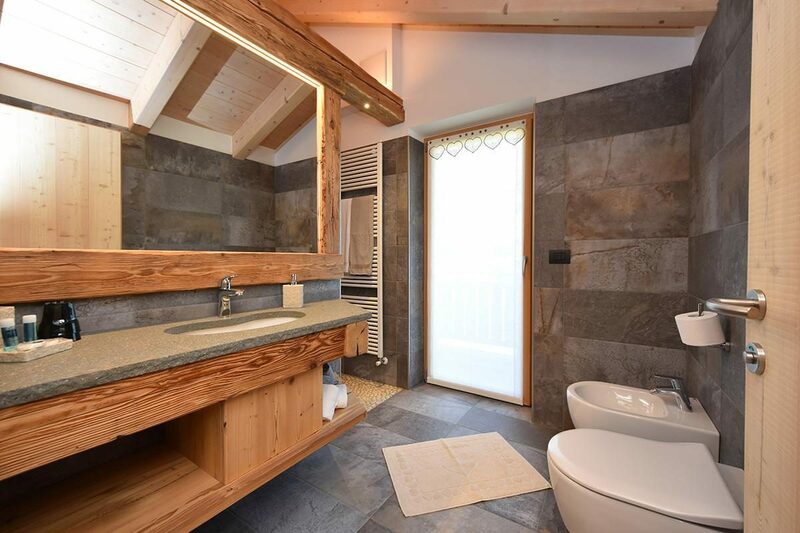 Our Cermis room, furnished in fir wood, offers spectacular views of the Val di Fiemme and the mountain of the same name, to be admired from the balcony.